Call 571-234-1456 or email us at Aaron@BrowningHomesGroup.com to discuss how this report can benefit you! The Keene Mill Village Market is very strong. There was 1 new property that hit the market this month. Keene Mill Village still remains relatively distressed free as there is one foreclosure (REO/Bank Owned) townhouse on the market. There are currently no active properties available. Inventory in Keene Mill Village is extremely low thus creating a sellers’ market. 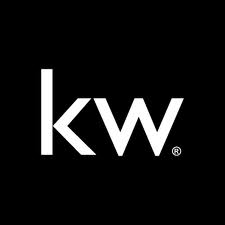 If you have any interest in selling your home please contact us today! There is currently 1 Keene Mill Village townhouse under contract. The average days on market is 17. The average list price is $325,000. No properties have sold in the last 30 days in Keene Mill Village. Call 571.234.1456 or email aaron@BrowningHomesGroup.com to have this report sent to you directly. Click HERE to find out how much your Keene Mill Village home is worth! Keene Mill Village is one of the top townhouse subdivisions in Springfield, VA. The neighborhood is located off of Keene Mill Road and is close to the Rolling Valley shopping center which features a grocery store, banks, restaurants, and shops. Nearby, residents also enjoy the Fairfax County Pohick Regional Library and Rolling Valley West Park with basketball courts, softball fields, and soccer fields. Planning on commuting from Keene Mill Village? The town of Burke offers a VRE commuter train, the Springfield metro is close by, as well as a park and ride that is just a few blocks away and transports to the metro each day. Schools: Keene Mill Elementary, Washington Irving Intermediate, West Springfield High School, Fairfax County School Boundary Search. For more information about Springfield – Keene Mill Village real estate, please contact the Browning Homes Group at 1.800.991.4103. Sign up at our website to get the latest homes for sale in Keene Mill Village.